Certified Learning teaches each student individually. It employs a tutorial model of instruction designed for classroom-size groups. It covers the basic curriculum – reading, math, and science concepts – for the primary grades. It also teaches foundational abilities and skills that are necessary (but often lacking) for learning the content curriculum. The overall goal is to optimally prepare each student for the transition to the more advanced curriculum of the middle grades. Out of every 100 lessons assigned, 98 were completed and mastered in the pass-fail tests. Only 2% of the assigned lessons were not mastered. 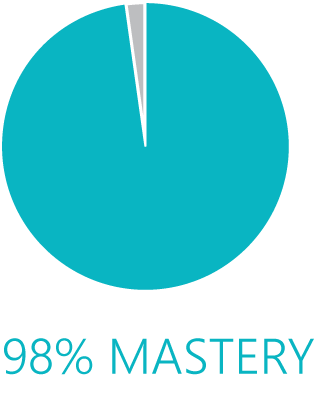 The 98% that were mastered by all students represents an average of 75 lessons – the equivalent of a full year’s curriculum – for each of the participating students. This is just a brief introduction of all that is included in this year’s report. Please view the full report for details on the 2015-2016 results. You will be amazed at what these students have accomplished!